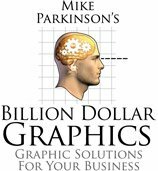 Billion Dollar Graphics: Billion Dollar Win for My Client! Billion Dollar Win for My Client! KC-X, a USAF contract that covers 175 production aircraft and 4 test platforms for their new aerial tanker fleet, is a BIG win for any company. The first phase alone is likely to reach $35+ billion over 25 years! My client, Northrop Grumman, was awarded the multi-billion dollar contract. Boeing may protest the decsion and time will tell what the USAF decides. Either way, graphics were a big part of the proposal and will play a siginificant roll in the final decision. Thanks to a dedicated team of technical experts, managers, graphic designers (from companies including Northrop Grumman and 24 Hour Company), the proposal was a success. Congratulations to everyone on the team! I'm in the running to be hired by Northrop Grumman for a contract working on Power Point work with the Center of Disease Control. I'm waiting for the hiring process to take effect. I'm an accomplished print and broadcast designer but I haven't worked deep in Power Point for years. What are the best actions I can take to make strong impressions? What is the right product for me that you sell? I really want this job- I was interviewed for this position two years ago and didn't get it. What is the best book to get me up to speed on the more advanced items for Power Point? Thanks, I hope to get back to you with news of my successful interview in a week! I highly recommend you investigate our newest tool: BizGraphics On Demand at http://www.billiondollargraphics.com/BGnow. You can make high-end PowerPoint graphics in seconds. For a demo and more information email me at info@billiondollargraphics.com. This solution is revolutionizing how we work.